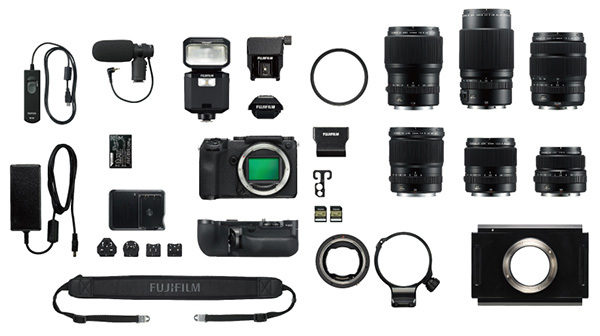 The Fujifilm GFX 50S Medium Format Mirrorless Digital Camera combines an extraordinary sensor, processor and design with FUJINON lenses to give you the ultimate photography experience. 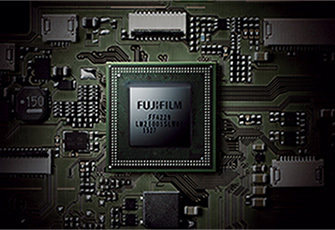 The innovative GFX system uses a Fujifilm exclusive 43.8 x 32.9mm, 51.4MP CMOS sensor with approximately 1.7x the area of a 35mm sensor. 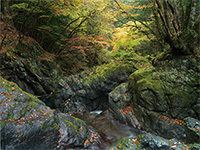 The GFX 50S 51.4MP sensor shows its true potential when making large format prints, capturing majestic landscape photos or reproducing historical documents. The camera is supported by GF lenses that encapsulate the design philosophy of FUJINON lenses, renowned by photographers around the world. Discover a camera that lets you capture the big picture is stunning detail. 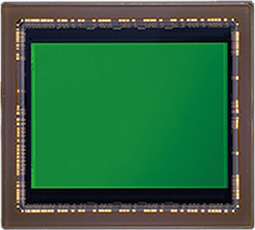 The GFX 50S is capable of delivering high-resolution, 14-bit stills with a 14-stop wide dynamic range as well as a broad sensitivity range of ISO 100-12800, which can be extended to ISO 50-102400. A new low-noise mechanical shutter that withstands 150,000 actuations. You can customize settings to optimize AF characteristics according to the type of subject movements. The GFX 50S supports Full HD video recording (1920 x 1080, 29.97p / 25p / 24p / 23.98p, 36Mbps). 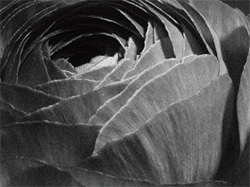 Use Film Simulation effects, such as ACROS for ultra high-quality monochrome and CLASSIC CHROME for a documentary-themed look. 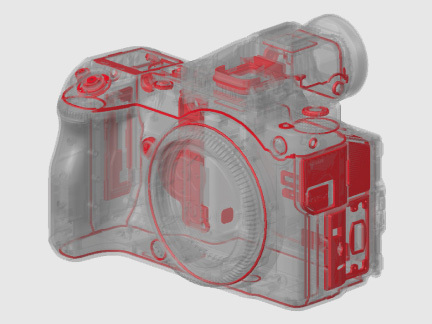 Complementing the imaging quality is a highly versatile body that incorporates a robust magnesium alloy, and weather-sealed protection in 58 points to achieve a high level of resistance to dust and moisture. A large rear 2.36M-dot 3.2-inch tilting LCD monitor, a detachable 3.69M-dot EVF with 100% coverage and a viewfinder magnification of 0.85x, and the 1.28-inch monochrome LCD monitor can be viewed in all conditions (including bright sunlight) and displays information including shutter speed, aperture, ISO, exposure compensation and exposure mode. Additionally you can take photographs or video remotely using a smartphone or tablet with Wi-Fi connectivity. 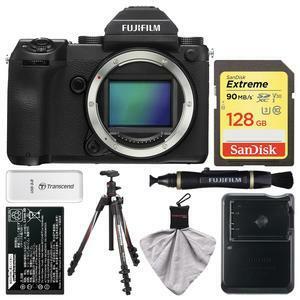 The Fujifilm GFX 50S features a 43.8 x 32.9mm CMOS medium format sensor: a product of Fujifilm's rich history, cutting-edge digital technology and extensive knowledge of medium format film cameras. Boasting an effective resolution of 51.4 million pixels and paired with high-performance GF lenses, the sensor delivers superior tones and sharpness that will impress professional photographers shooting in the world of commercial, fashion or landscapes. 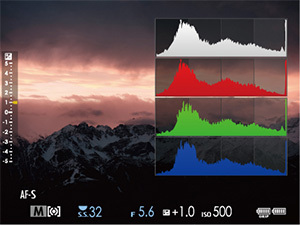 The Fujifilm GFX 50S saves pictures in a variety of formats and quality, including two sizes and three compression levels of JPEGs, as well as compressed/uncompressed RAW. 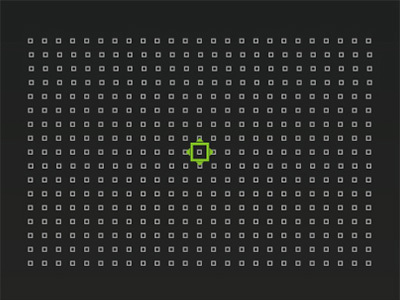 Even when you are shooting only in RAW, the camera records 12-megapixel thumbnails at the same time. 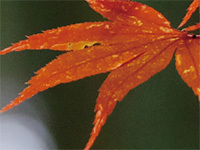 Its in-camera RAW conversion function also enables RAW files processing with the ability to save them as 8-bit TIFFs. 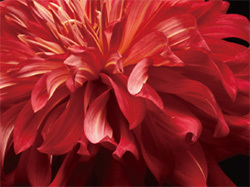 Provides an extra boost to saturated colors for a more punchy result. 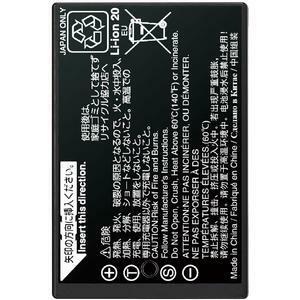 The body is made from robust magnesium alloy, which feels both solid and durable in the hand. The body is weather-sealed in 58 points to achieve a high level of resistance to dust and moisture. The GFX 50S is compact and lightweight despite the large size of its sensor, plus its dust and weather-resistant body means it's equally effective in the studio or out in the field. 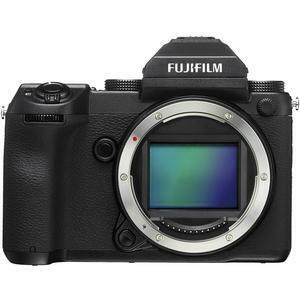 The Fujifilm GFX 50S is supplied with a detachable 3.69M-dot EVF with 100% coverage and a viewfinder magnification of 0.85x. 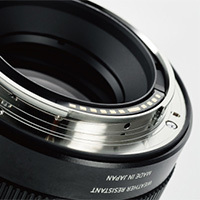 It uses five dedicated lens elements to achieve 100% coverage and offers a diopter adjustment range of -4m-1 to?2m-1. 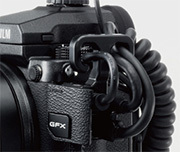 The VG-GFX1 provides a solid grip while also maintaining the camera's optical axis during vertical shooting. The grip features a Shutter Release Button, Command Dial, Focus Lever and six Fn buttons, mirroring the layout of the camera body. 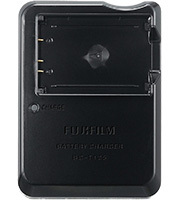 It holds an extra battery to enable shooting for extended periods of time and can be used to charge the battery. 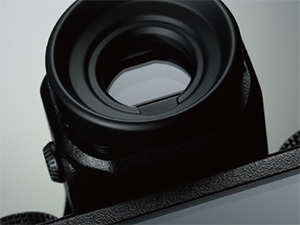 The Fujifilm X-T1's grip has been further developed and now offers even greater comfort on the Fujifilm X-T2 thanks to a larger area set aside as a thumb rest. 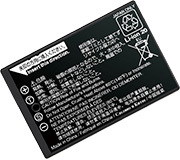 Locking mechanisms have also been introduced for the SD Card Cover and Battery Cover. 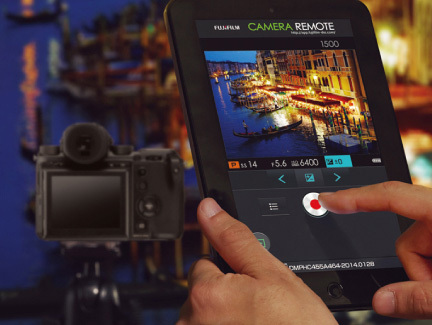 Install the free Fujifilm Camera Remote app on your smartphone or tablet to carry out a location data search, remotely control the camera and transfer or view in-camera images, all without having to enter a password. This functionality is also useful when shooting landscapes with the camera mounted on a tripod. 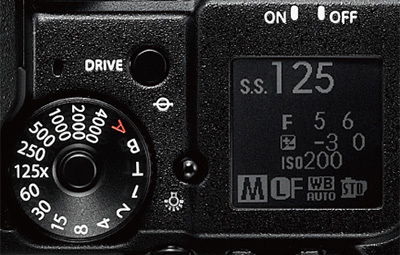 The Fujifilm GFX 50S features 10 customizable Fn buttons. 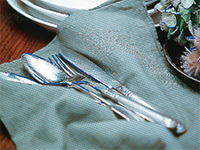 Different options can also be assigned to Short Cut Q (Quick) menu items. Frequently used settings can be registered in My Menu while Custom Registration allows you to save and rename Film Simulation and image quality settings. 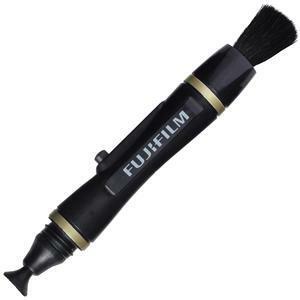 Use HS-V5 for Windows software to tether the Fujifilm GFX 50S using a USB cable. 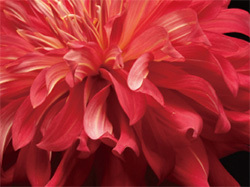 This enables you to directly save pictures on to a computer or control the camera from the computer. 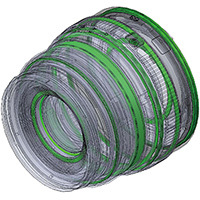 The Hyper-Utility software, which comes with the camera, allows you to view the photographs you have taken on your computer. 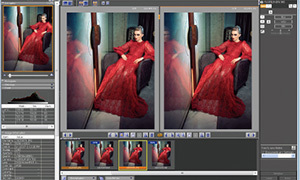 With the software, you can analyze images based on information it displays such as histogram, highlight warnings and tags, evaluate images by displaying two images side by side for comparison and sort/organize images with the Marker function. 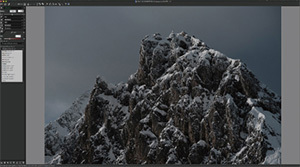 A plug-in to allow Adobe Photoshop Lightroom users to tether the Fujifilm GFX 50S to a computer, using a USB cable and directly save pictures on the computer or control the camera from it. In addition to the functions available in the standard version of the Tether Shooting Plug-in for Adobe Photoshop Lightroom, this PRO version allows you to view the photographs you have taken on your computer, and displays the Control Panel window on the computer to enable a variety of camera controls. The conventional Lightroom tethering plug-in forces you to wait until your picture is transferred, saved and registered with Lightroom before it is displayed on the screen for checking. The Control Panel window in the PRO version displays pictures faster for quick viewing. The Control Panel window also supports Live View as well as offers a multitude of camera controls such as exposure settings, bracketing, interval photography, overlay check and backup/restoration of camera settings. Use Adobe Photoshop Lightroom or Adobe Photoshop CC to process your RAW files and save them as JPEG, TIFF, etc. on your computer. 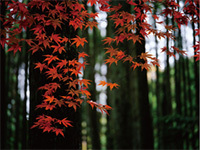 It allows more refined or bolder adjustments than the in-camera RAW Converter and maintains the use of Film Simulation modes. 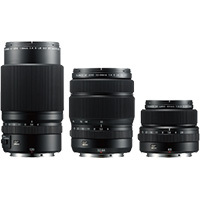 The upgrade will add compatibility for the newly developed FUJINON GF250mmF4 R LM OIS WR capabilities that include "Focus Preset", "AF-L" and "AF-ON"
Enables users to choose the folder in which subsequent pictures will be stored. 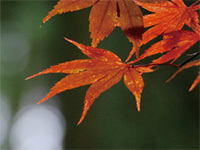 Users will aso be able to enter a five-character folder name to create a new folder in which to store subsequent pictures. 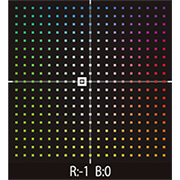 For enhancing the quality of indoor sports photography, the upgrade allows users to reduce flicker in pictures and display when shooting under fluorescent lighting and other similar light sources. 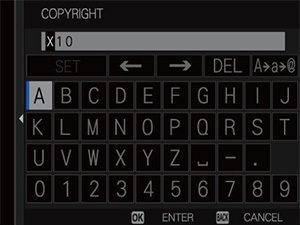 The upgrade allows users to set the Fn button as "35mm Format Mode" for quicker setting changes. 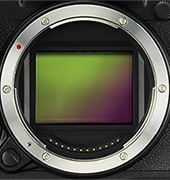 The update will enable the photographer to shoot focus distance bracketing up to 999 frames. 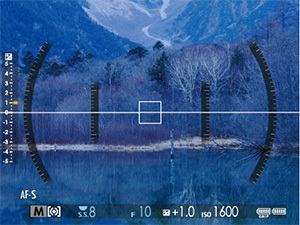 When the photographer start shooting, the focal location is shifted with each activation of the shutter by the step of focus shift set from 1 to 10. 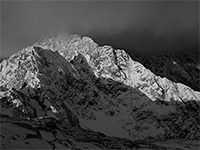 The update will enable the photographer to shoot central 36.0mm x 24.0mm (30.5M) cropped images as both JPEG and RAW files. 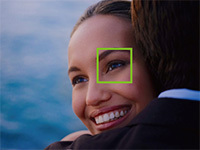 When using 35mm format adapters, it will be easier to adjust the image size to 35mm format image circle lenses. 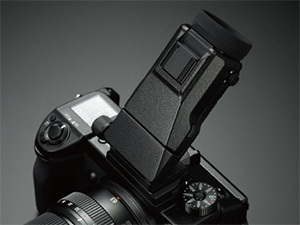 The firmware update will expand the compatibility for the "H MOUNT ADAPTER G" accessory. 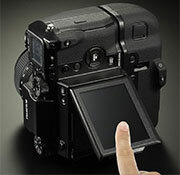 Once connecting a camera to a computer via USB cable, the "FUJIFILM X RAW STUDIO" enables users to convert RAW files with X-Processor Pro. Fast batch processing will also be available. 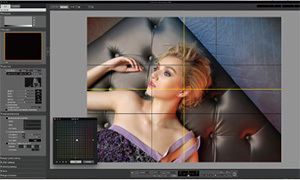 The "FUJIFILM X RAW STUDIO" can be downloaded from the FUJIFILM website for free. 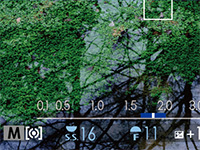 The update will extend the "EVF Brightness" setting options to "-6" and "-7" so that, even in an extremely low-light condition, the brightness of the EVF does not distract you from shooting. With the update, you can have the "Shoot Without Card" mode turned OFF so that the camera will not shoot when there is no SD card inserted. The perfect travel companion now made lighter. 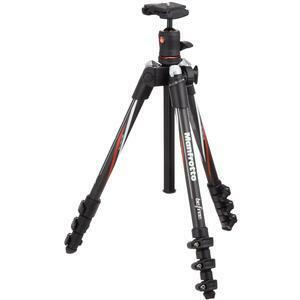 Featuring 100% carbon fiber legs to ensure rigidity and transportability, the Manfrotto BeFree 55.9" Carbon Fiber Tripod weighs only 2.4 pounds, making it 20% lighter than the aluminum version. 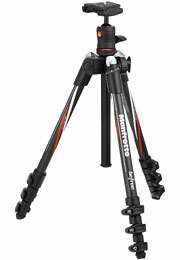 Its unique design that allows the ball head to nest within the legs when folded enables it to reach a folded length of just 15.7 inches, making it the ultimate travel companion for photographers. The BeFree Carbon features an aluminum ball head that is equally durable and easy to operate, delivering sharp images by keeping the user's camera steadily locked in the desired position. It can safely hold 8.8 pounds, ensuring superior stability even with long zoom lenses, and its patented leg selectors allows users to quickly select between two different settings for maximum versatility. The lever leg locks ensure long life, even after harsh usage. Made in Italy, the BeFree Carbon delivers a sleek design with attention-grabbing graphics. 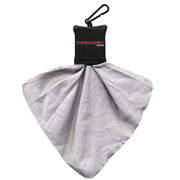 It also comes with a custom padded carry bag that makes it easy and comfortable to carry everywhere. 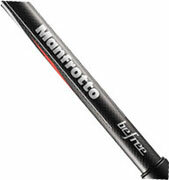 Its 100% carbon fiber legs ensure rigidity and transportability: The BeFree Carbon weighs only 2.4 lbs. (1.1kg) -- 20% less than its aluminum version. 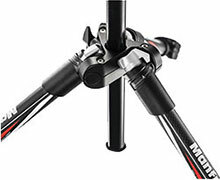 Thanks to its unique mechanism and to the Quick Release Adapter of its ball head, its foldable legs pack very tightly, reaching a folded length of just 15.7 in. (40cm). Extreme speeds for burst shooting, fast transfer, and 4K UHD. 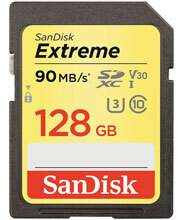 The SanDisk Extreme 128GB SDXC UHS-I U3 Class 10 90MB/s Memory Card has extreme speeds to catch your best shots. UHS Video Speed Class 10 (V30) and UHS Speed Class 3 (U3) allow you to record in 4K UHD, taking your videos to next-level resolution. With read speeds up to 90MB/s for fast transfer, these cards are compatible with SDHC and SDXC supporting devices and come with a lifetime limited warranty. 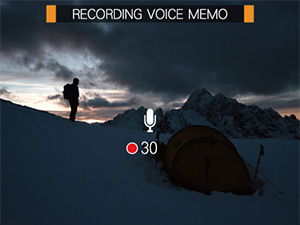 Capture shots quickly with write speeds of up to 60MB/s. 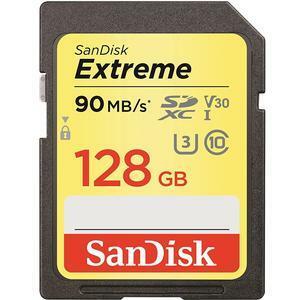 SanDisk Extreme SDHC and SDXC UHS-I Cards let you shoot multiple frames per second, making it an ideal choice for fast-action or continuous burst mode photography. 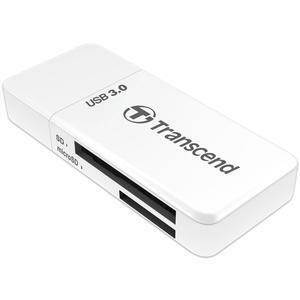 With extremely fast read speeds of up to 90MB/s, this memory card lets you transfer high-resolution images or 4K UHD videos from your DSLR or camcorder to your computer without a long wait. SanDisk Extreme cards are backed by a lifetime limited warranty.